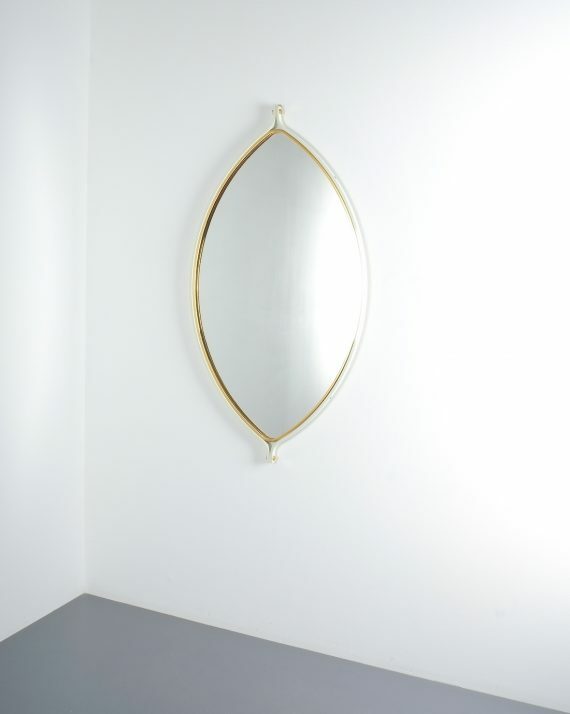 Elliptical Mirror. Elliptical Lens Mirror Mid-Century, Italy circa 1970. 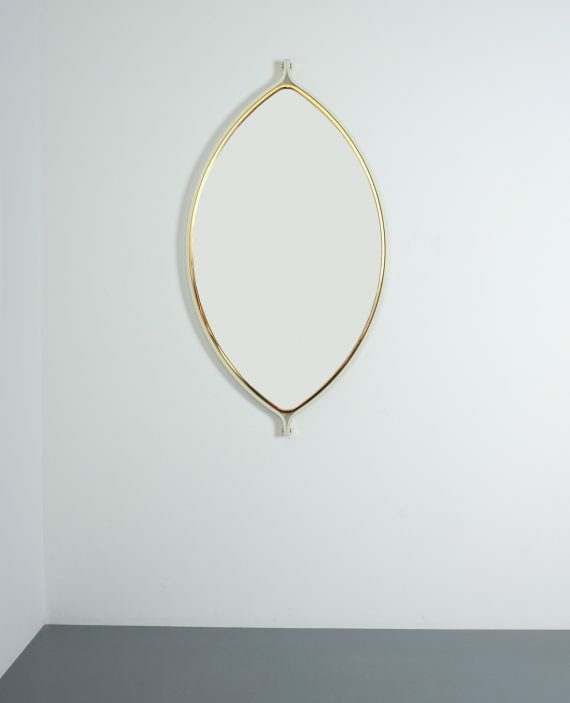 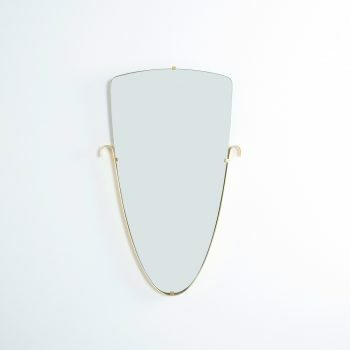 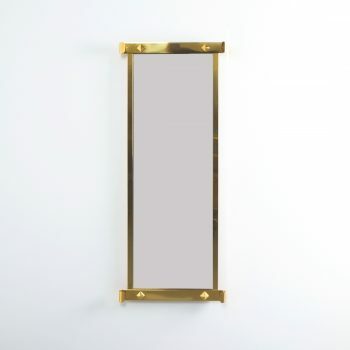 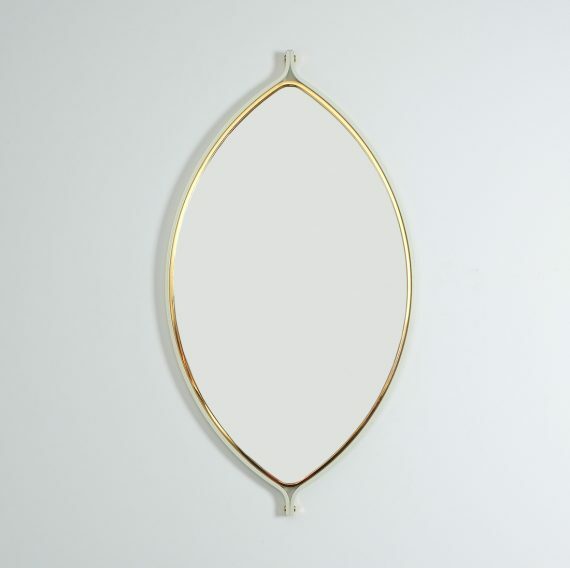 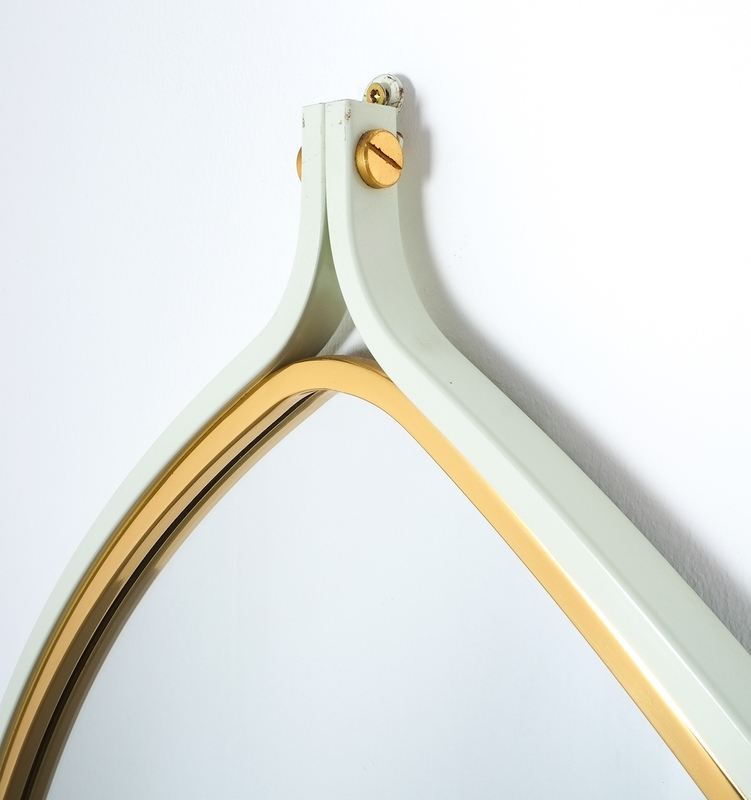 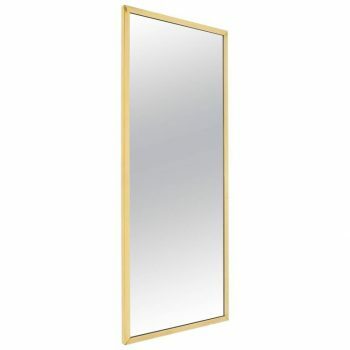 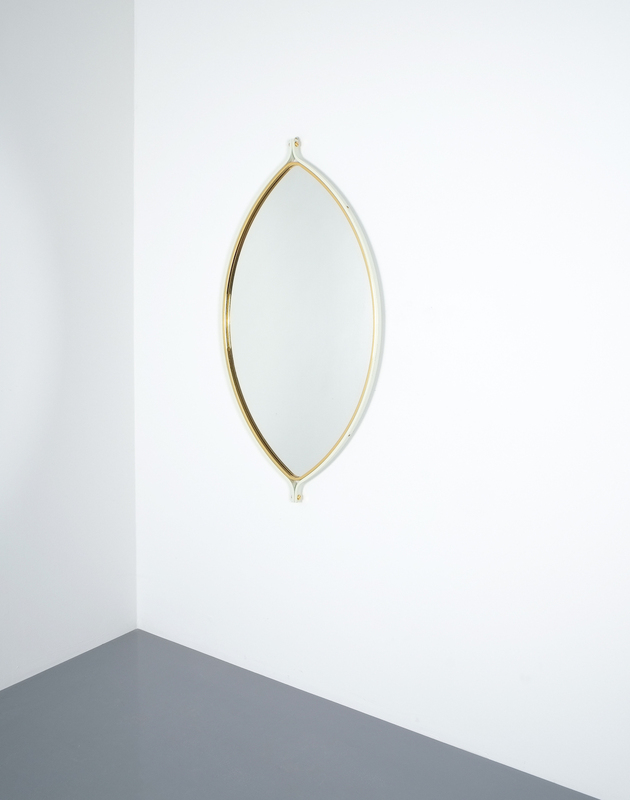 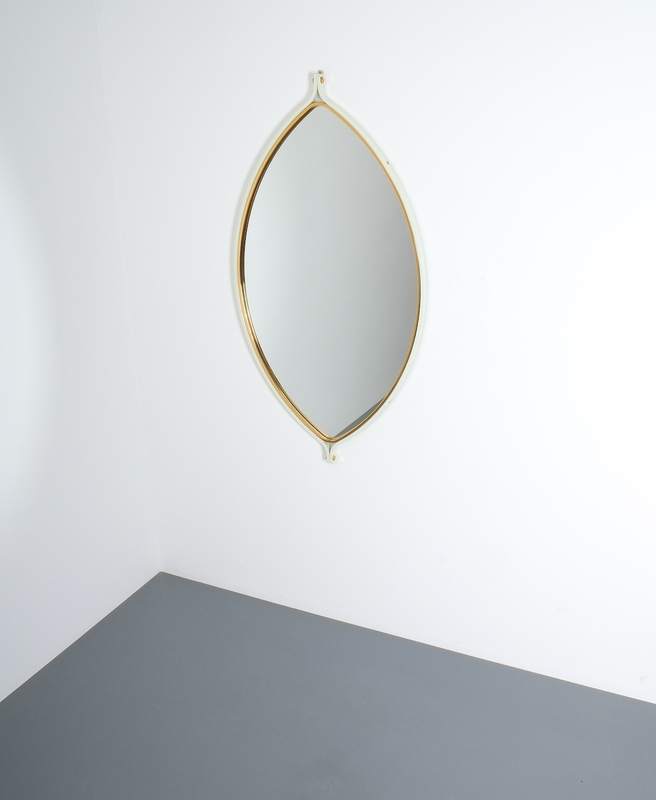 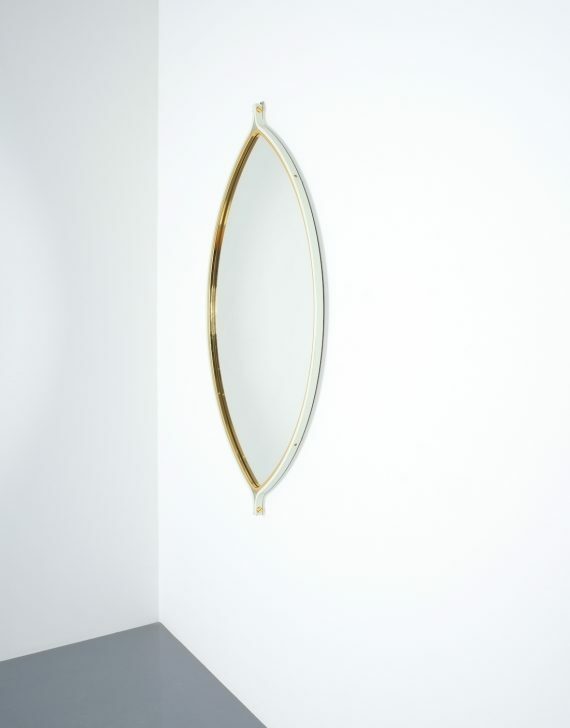 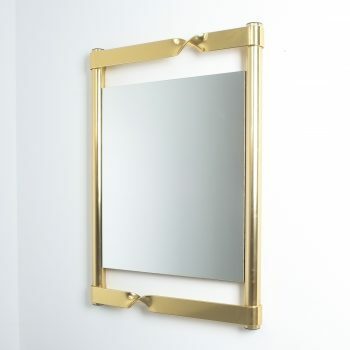 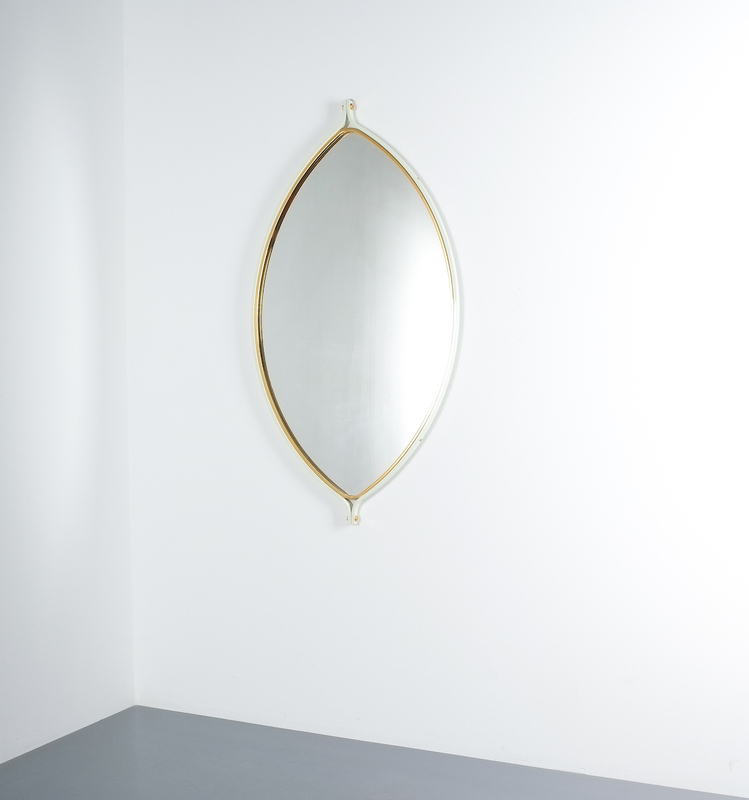 Large 45″ (height) mirror comprised of 2 layers of brass and white lacquered metal. Good condition.